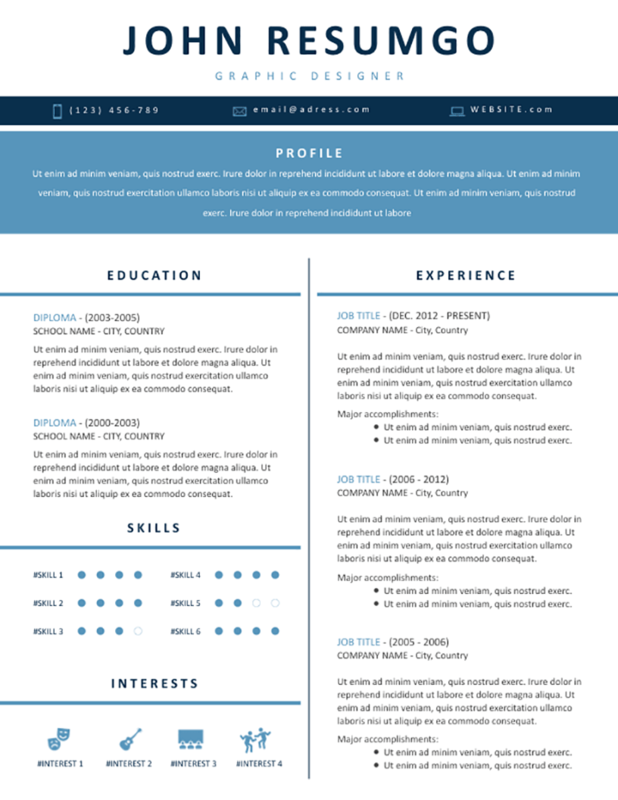 Elpida is a free simple resume with 2 blue horizontal banners. Modern and simple structure. Under this header, a two-column distributed structure. On the left, you can present your education, your skills (equalizer-type dot charts) and your interests with blue icons. The right column is entirely dedicated to your professional experience.